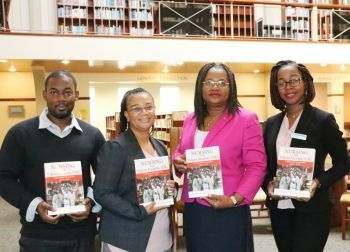 This is according to a press release from Nagico Insurances which states that the book, written by a Registered Nurse and daughter of the Virgin Islands soil, chronicles the challenges and successes of the nursing sector over the past 90 years. 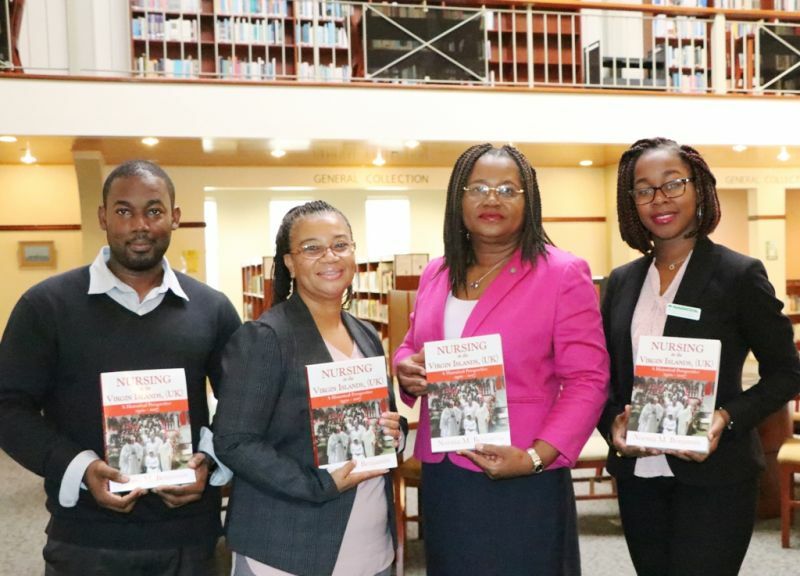 The book was written to ensure the history of the medical profession in the Virgin Islands is documented and accessible, as well as to inspire young local persons to enter the profession. Nagico Insurances decided to make the donation of the books as a form of support for the work of Mrs Benjamin, who spent some 33 years with the BVI Health Services Authority (BVIHSA), and to ensure that the history of the medical profession of the Virgin Islands as portrayed in the book would be accessible to the young minds during their time at HLSCC. The presentation took place on January 25, 2019, in the Learning Resource Centre of H. Lavity Stoutt Community College, was graced by author Mrs Benjamin, who noted that the book highlights many of the people who contributed to the nursing profession, including the late M. Adina Donovan. According to Mrs Benjamin, her work also speaks about the various healthcare development in the territory, including the introduction of immunization and mental health programmes and the establishment of the Nurses Association. The Virgin Islands’ newest author, who said she hopes her first work will not be her last, expressed gratitude to Nagico Insurances for helping to share her work and ultimately knowledge of the medical history of the Virgin Islands. Ms Benjamin added that the reaction to her book has been encouraging and that for many people the book brings back a lot of memories. Director of Grants Planning and Fundraising at HLSCC, Ms Yvonne Crabbe said she was very delighted when Nagico indicated they were interested in donating the books. Ms Crabbe recalled that as recent as December, Nagico Insurances was a main sponsor of the college’s fundraiser dubbed ‘Jam for a Cause’. “And so we are very delightful and grateful that Nagico has considered the college once again,” Ms Crabbe stated. 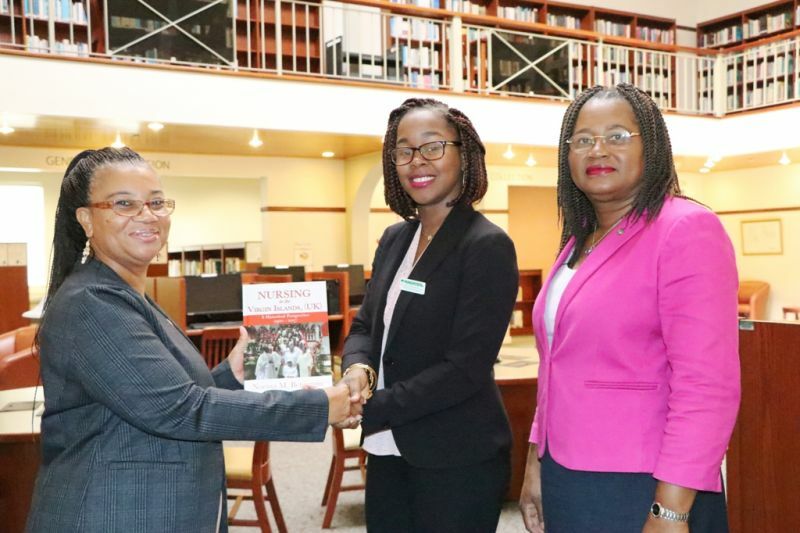 The books, according to Ms Crabbe, will be the newest addition to the Virgin Islands Collection Room of the college’s Learning Resource Centre. Meanwhile, making the presentation on behalf of Nagico Insurances was Manager of Medical and Customer Service Departments Mrs Niasha Benjamin. 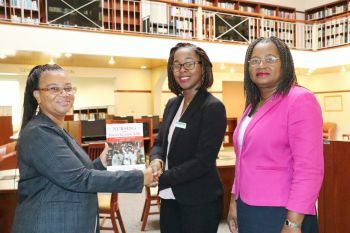 “Nagico Insurances was pleased to see the publishing of such a book that documents the history of the nursing profession in the Virgin Islands. It is a treasure of a book and we trust that persons will read and appreciate the work of Mrs Benjamin and be inspired. Persons wishing to purchase the book can do so at Pusser’s Store in Road Town, Island Services, Little Denmark, and online at amazon.com and barnesandnoble.com.